The article here focuses on how to enable or disable these functions using CSOM and Powershell or C#. Sharing settings can be viewed among the properties of the tenant. You can view tenant properties using Microsoft.Online.SharePoint.Client.Tenant.dll library. The script Modify external sharing setting in SharePoint Online tenant using CSOM is available for download from TechNet Gallery. After setting the tenant.SharingCapability to ExternalUserAndGuestSharing, you can decide about anonymous access links and set their expiration date and the allowed access level. Anonymous access links can allow recipients to only view or view and edit. The value can be set separately for folders and separately for files. For folders, it accepts a string value of "View" or "Edit". The script Set expiration for anonymous links in SharePoint Online is available for download from Technet Gallery. 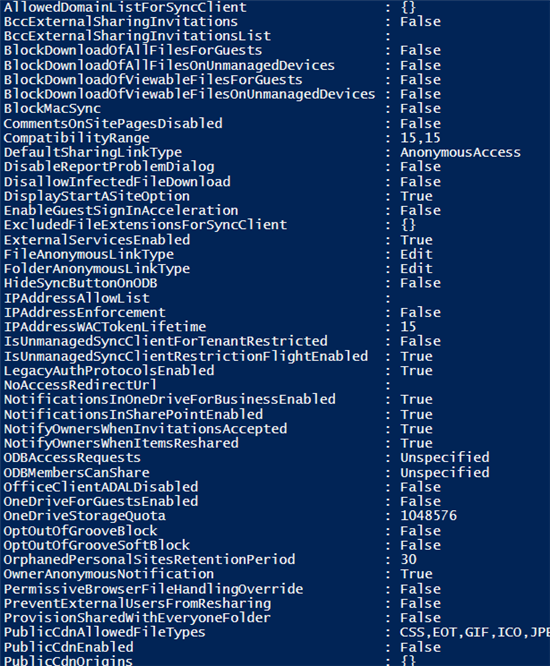 The script Set anonymous link access level for SharePoint Online tenant using PowerShell is available for download from TechNet Gallery. 01.Add-Type -Path "C:\Program Files\Common Files\Microsoft Shared\Web Server Extensions\16\ISAPI\Microsoft.SharePoint.Client.dll"
02.Add-Type -Path "C:\Program Files\SharePoint Online Management Shell\Microsoft.Online.SharePoint.PowerShell\Microsoft.Online.SharePoint.Client.Tenant.dll"
The script Set default link type for SharePoint Online tenant sharing settings is available for download in Technet Gallery. The script Prevent external users from resharing using Powershell and CSOM is available for download from TechNet Gallery. The script Force external users to accept sharing invitations with the same account is available for download from TechNet Gallery. The script Allow external sharing in SharePoint Online only with specific domains is available for download from TechNet Gallery.